This week for inquiry, we needed to make a Venn Diagram. 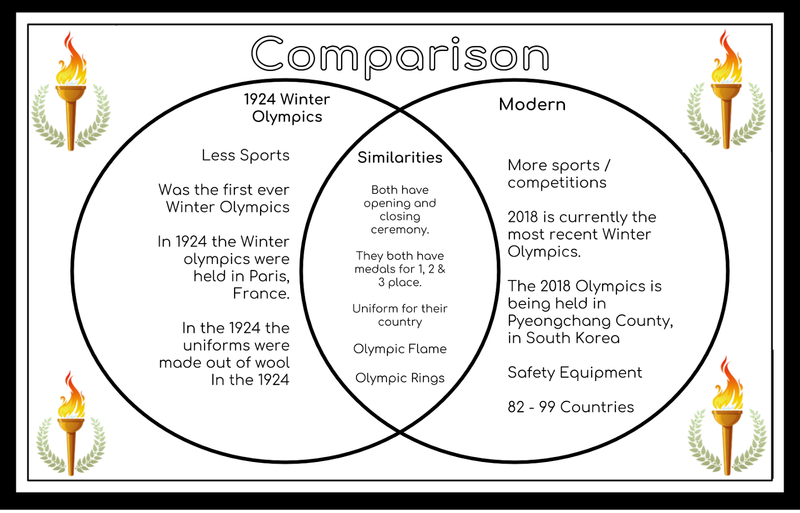 The Venn Diagram needed to compare the first ever Winter Olympics in 1924, to the modern Winter Olympics. A Venn Diagram is 2 circles put together, with an oval in the middle. On the left and right side, there would be differences between two different things, and in the middle, there would be the similarities of the two.